Extra pair of hands available. I am based in Aberdeen but work on a 1 month away/ 1 month home basis, so I'm available every 2nd month. My own boat Rosally is based at Dunstaffnage so anyone in that area looking for an extra crewman, please pm me for my email address. Experience: Not a great deal I'm afraid (Competent Crew and getting ready for Day Skipper). On that note, any of the more experienced sailors out there that fancy imparting some of your hard earned knowledge onto me aboard my own boat - Westerly Storm 33 (Rosally), I'd be happy to hear from you too. A very nice offer, and I hope someone takes you up on it. Are you keeping Rosally in the water over the winter? Looking ahead, the Chentleman's Cruise (May Day weekend) is usually a good opportunity to meet people on the Forum and sail in company. A few of us are based in the area, and there will probably be at least one charter boat. There will usually be a few looking for a berth if you're thinking of sailing Rosally; otherwise, I'm sure there will be a spare berth for you amongst the fleet. Rosally's a good looking boat - seen her around a lot. You'll enjoy her. I will have to check which dates I am at home ( I work a month at a time in Nigeria). I am due to be home in May but can't recall right now when in May I am back - I would love to join in the cruise though (either as crew or taking Rosally out). We could have the makings of a plan here! 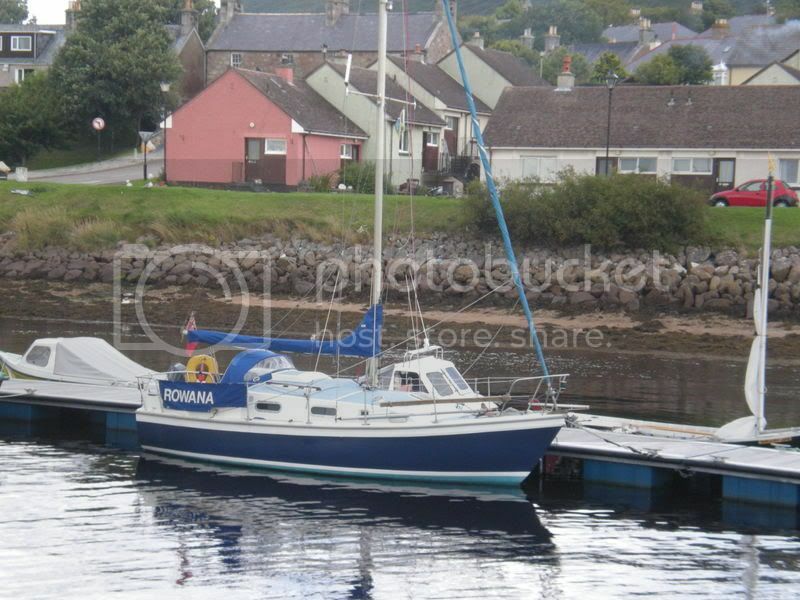 Rowana is based in Peterhead, out of the water until April/May time. Perhaps you might like to come out for a sail sometime if you don't fancy going all the way over to the west coast, and just fancy a day sail. I could come and crew for you on the west coast if you are going for a few days. I'm retired now, although not getting my state pension, so I've plenty of time. Rowana is a bit smaller than Rosally, slower as well, but built like the proverbial brick sh1thoose! I've sailed her single handed as far south as the Tyne, and north to Wick. Does this sound like a plan to you? That sounds very much like a plan to me - best of both World's. You would be very welcome to come down to Dunstaffnage also - the company and experience would be appreciated. Is Rowana a Colvic Sailor or similar? Looks a nice boat. A workmate of mine has a Colvic Sailor up at Findochty (Emily - the boat, not the workmate, in case the wife is reading ). I am looking at getting Rosally back in for March rather than April, as I am in Nigeria in April. I like it when a plan comes together! I think you're right that we could have the best of both worlds! I'll send you a PM with my contact details. Rowana is a Macwester Rowan 8 meter. I bought her about 3 years ago on the Clyde and sailed her home to Peterhead via the Crinan & Cale canals. I did have someone else as crew on that trip. There is a bit of a story attached to her, which I'll tell you sometime. There's a few of us in Peterhead that club together for the hire of a crane to get us back into the water, so it's usually a date sometime in April/May that suits everybody. Are you not frightned you get hijacked in Nigeria? I was in Lagos many years ago when I was in the Merchant Navy. Not a place I'd ever want to go back to ! Aye, sounds like a plan to me. I was hoping to get over to Ireland at some point this summer - are you game? Nigeria doesn't frighten me - I've seen more trouble in Aberdeen to be honest. Been down that way 11 years or so now, so I'm getting used to it. I just got back from Dunstaffnage at 7 tonight - I'm scunnered. Horrendous drive down early this morning, couple of coats of primer on her newly blasted keel, changed the prop shaft anode and hull anode, then had a horrendous drive back up the road in drizzle this afternoon/evening.